I’ve been loving the Caron Cotton cakes that came back to Michael’s Stores this spring and I’m especially loving the project I’m working on with it! At first, I wanted to make a rug for one of the doors in my sunroom but I have so much more of this particular color called “Hydrangea” that I want to use them all up to make a small blanket! I love using the C2C stitch for blankets because I feel they work up fairly quickly. That is, until you are on the decreasing rows and you feel like it will never end! But overall, I love the stitch and that it is worked up diagonally and more importantly – I love that there is no starting chain! I also feel the C2C stitch is very special to me because I taught my mom this stitch. My mom taught me how to crochet when I was around 8 years old, so it was really special for me to give back and teach her something new. Ever since I have taught her this stitch, she has used it for so so many scrap blanket projects! She loves taking all of her scraps (and mine!) to make one big blanket for her sofas. Although I decided to use the C2C stitch, I did make a bit of a change from the usual. Instead of using double crochets, I decided I would use half double crochets. I think it gives it a beautiful texture and not as many holes/gaps as the double crochets would! I’ve put together a quick tutorial on how to do the C2C stitch with half double crochet. If you are well versed in the corner to corner stitch using double crochet, it’s basically the same thing except with half double crochets! The only minor differences are you chain 5 for the beginning/increases and chain 2 before making the half double crochets into the spaces. You can watch the video for the step by step! I’ve included how to make a rectangle OR square with the corner to corner (C2C) stitch. 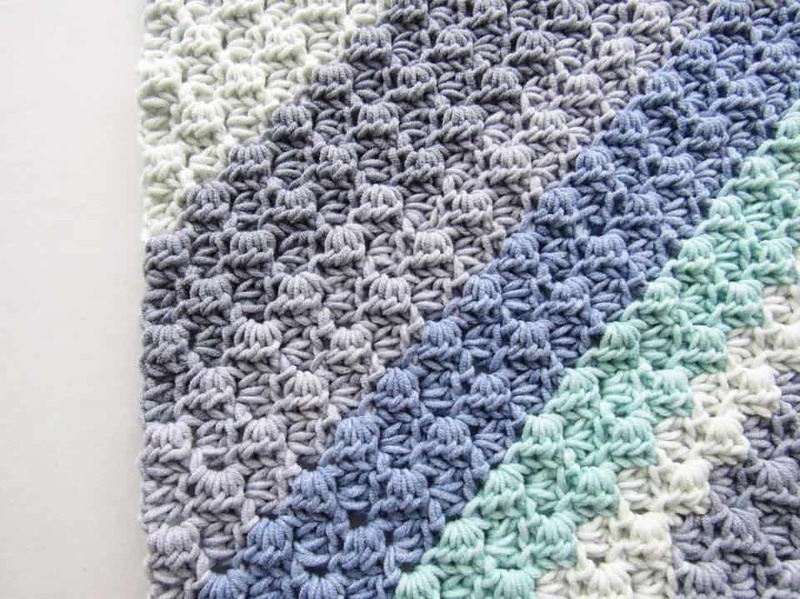 This way you can make a rectangular blanket or a square dish cloth. 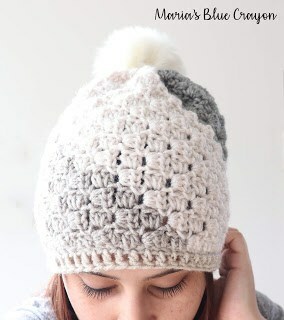 You can even make a hat with my Don’t Be A Square beanie that uses the C2C stitch! There are many possibilities with this stitch. I hope you love it as much as I do! Enjoy! If you don’t see the video above, you may need to disable your ad blocker to view it. Approximately how many Caron Cotton cakes would it take to make a C2C Half double crochet baby blanket? Which size cake? One size has approx. 245 yds and one has 383. Look at your pattern for the yardage required. Also varies in the weight of yarn. WW4 would take less than a sport weight. Hope this helps! Fyi……your video tutorial is NOT showing up on the screen. We have audio, but no video. Thanks. I'm watching the tutorial now, so it's working for me on this page. weird! Hi..love the look of the c2c baby blanket. Is the pattern available in pdf format?